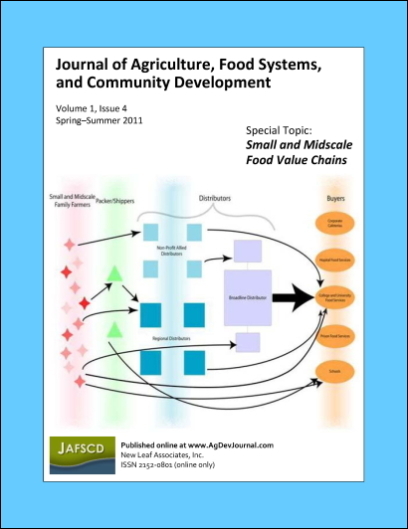 This introductory discussion positions midscale food value chains as business models for a "third tier" in the U. S. food system, distinct from direct marketing to local consumers and global marketing of agricultural commodities. Responding to a growing demand for food that is differentiated from conventional products, midscale food value chains are developing strategic business alliances among small and medium sized farms or ranches and other agri-food enterprises. These supply chain alliances: (a) handle significant volumes of high-quality, differentiated food products; (b) operate effectively at regional, multistate levels; and (c) distribute profits equitably among the strategic partners. Value chain business models place emphasis on both the values associated with the food and the values associated with the business relationships within the food supply chain. Farmers and ranchers are treated as strategic partners, not as interchangeable input suppliers. Midscale food value chains employ two distinct, multifarm marketing strategies: direct-to-wholesale and direct-to-consumer. Both marketing strategies are based on organizational structures that achieve the necessary volumes of high-quality, differentiated food by aggregating product from multiple farms or ranches. The introduction concludes with a discussion of the challenges associated with developing successful midscale food value chains and of needed research and public policies to support the growth of this third tier.